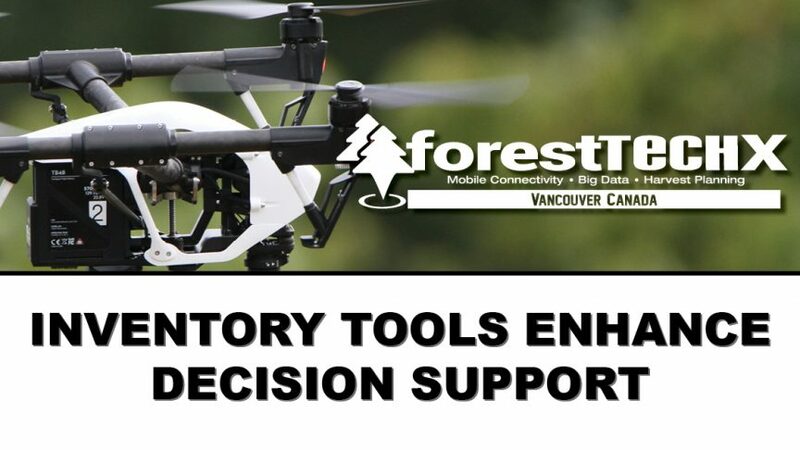 Vancouver, BC – Internationally, inventory mapping for foresters has benefited considerably from developments in drone and lidar technologies. Many senior forest managers are now focused on how the new systems deliver better deicsion-making by foresters on the ground out in the woods. Service providers understand that forest managers need a way to tailor the data being collected to the questions they need answered. They need practical outcomes regardless of the techologies being employed to turn forest data into useful information. Both providers and users need clear goals to deploy the right solutions. Forestry technology solutions are now widely available and well-supported internationally. Several international experts and foresters are coming together from countries with strong technical networks to a new forestry technology conference in early March 2018. The ForestTECHX 2018 conference will provide leading managers and technical staff from key forestry companies with a timely and independent overview of lidar, geomatics and data collection tools. Zack Parisa, MFS is the founder and president of SilviaTerra. In his work with forestry companies in the US and abroad, Zack observed radical discrepancies in inventory practices across the industry and saw situations where millions of dollars were lost because of poor information. In response, Zack developed and patented a new process which uses remotely-sensed imagery to make cruising far more efficient.